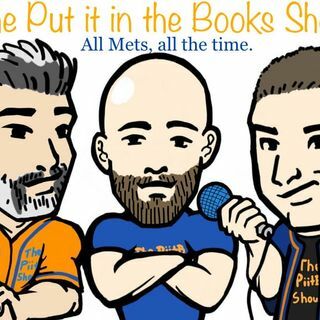 It’s time for episode #10 of Season 2 of The Put it in the Books Show with Farace, Keith and Rodriguez! It’s all Mets, all the time. Let’s get to it! - Who breaks camp at 3rd base? What to do with Frazier? - Did A-Roid cheat on JLo? - Pete and Dom both stay hot. - Should Brodie shut up and stop predicting things? - Shortstop depth? Rosario top 5 in the NL? - Jed Lowrie a bad signing? - Vargas the new charlatan?